So iPhone 6 and iPhone 6 Plus were launched with new and modern iOS 8, and oh how iPhone users were excited. New phone, new OS, the world was beautiful again! Well iOS 8 was launched for some pretty old devices as well, namely the iPhone 4s and the iPhone 5. Of course these users felt welcomed into the arms of Cupertino at the time, but once they were through with the upgrade, users, especially those with iPhone 4s or iPad 2, began questioning their judgment. Pretty much akin to how every new major release of iOS slowly eats away at, at least one generation of supported devices, the iPhone 4s and older-gen iPads have fallen right into that infamous generation of ‘too slow’ devices. 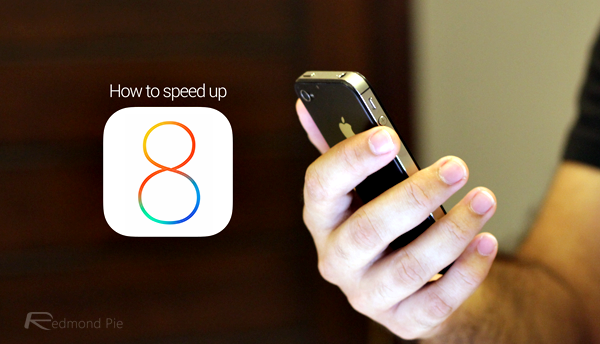 If you have upgraded your older device to iOS 8 and are really feeling that slowing down of time, there are a couple of steps you can take to speed up your device. Read on after the jump for the details! 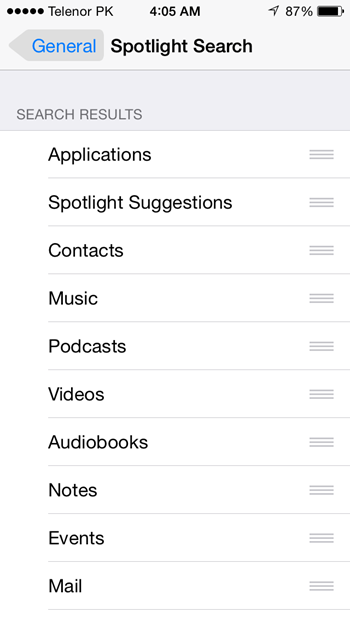 Spotlight does a lot of background indexing of your files and other content system-wide. In iOS 8, it uses plenty of data sources from the internet too to get you your desired result, such as Wikipedia, News, Suggested Websites, App Store and more. All this can take up some major chunk of memory and storage on the older devices and it is recommended that you turn it off. If you really want to use this feature, just turn off the sources you do not want information from. Present in iOS 7 as well, it worked fine for older devices, but try turning this feature off in iOS 8, and you may feel a difference in the overall speed of you device. Apps refreshing their content automatically in the background takes it’s toll not only on the battery, but processing power as well. Essentially this is multitasking, and older devices will have trouble doing so in the face of an already heavy iOS 8. The moving wallpaper and the added system-wide animations are indeed beautiful, but now with iOS 8, it is taxing on your devices performance. 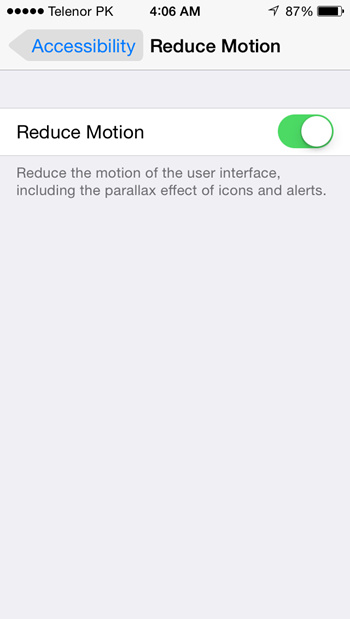 You can disable the effect by turning on Reduce Motion in the Settings. You will have to trade off this effect for running iOS 8, so make your choice. As if having to remove almost all your media files from your device wasn’t enough for that iOS 8 upgrade, if your device is low on storage, apps may crash or you may see some odd behavior or glitch here and there randomly. 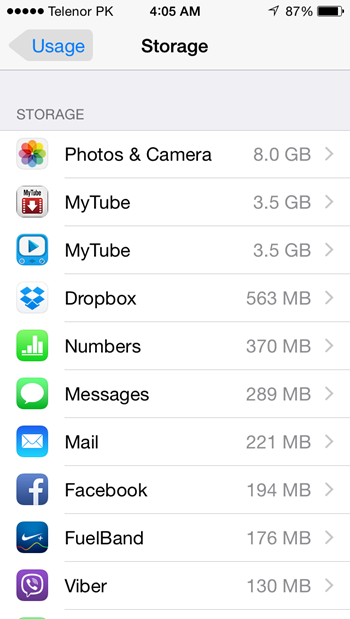 Make sure to keep a couple of GBs of storage available on your device free for smooth functioning. 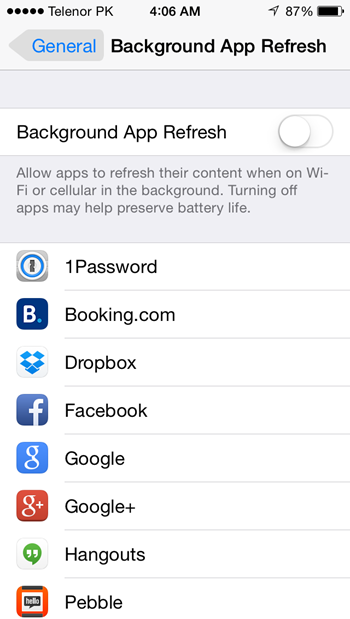 If you’re using an older device running iOS 8, let us know if these suggestions helped in any performance improvements. Can you show data that any of this will have a noticeable improvement on overall speed? Otherwise I call shenanigans. Stop asking questions and just try it! Can you show any data that it doesn’t? If not I call an idiot with nothing useful to say. iOS 8 + iPad 2 = Crap, Slow, Buggy, worthless, losing confidence in apple, frustrated, unhappy. I did try it..not worth it. Dynamic wallpaper. I switched back to a still and have noticed a great improvement. I also turned on Reduce Motion as advised. Thanks! Yes, your recommendations revived my once excellent iPad 2, maimed by iOs 8.3, I’m most grateful for that. However, my respect for Apple has all but gone and I doubt that you can fix that. Apple invited me to download iOs 8.3 “for your iPad”. They knw what they were doing. What do I think of iOs 8.3 and Apple’s customer care? The same as I think of the deliberately unreadable contracts, longer, it is said, than Shakespear’s play Hamlet…..